Works like a charm on SolidRun Cubox with Marvell Armada 510 SoC, ArchLinuxARM. I got running on QNAP ts469. have not implemented autorun yet. but seems to work well even through firewall once port forwarding was set up it was sooo easy to install on an external (internet connected) pc. I am hoping this will serve as a personal dropbox type service with my nas as the primary node. Can anyone tell me if this is correct for use with iomega ix2-200? I have little(practically none) experience with linux. I managed to download the package but unable to install it. I'll keep checking back in the hope someone is a saint and step by step walkthrough for dim wits like my self. EDIT : Since I'm asked some steps, I just downloaded btsync on windows, put it on the NAS with FTP, logged in with SSH, and started the executable... that's it. Just don't forget to open the ports for FTP, SSH and 8888 in the web interface's firewall options. Oh, and the SSH login is root, not your username. and i works with few step like a charm, no need to add libraries. Anyone could tell me if upgrading to the new Kernel 3.x it should work as well? Hey are you using the ARM BTSync ? No prom - i386 rattling on both TS-639 Pro and TS-EC1279U-RP ... 3.8.2, since today using 3.8.3 firmware (QNAP x86_64 3.4.6 Kernel) [or TS-459 Pro using a QTS 4 Alpha build]. in regards to the DNS-323... i'm running debian, 2.6.32-5-orion5x kernel... i'm able to run btsync and add folders in the webgui, however, after a short while btsync just crashes on it own, or crashes quickly if there is a large sync... nothing specific in the logs but there are dump files... I see its not compatible, im just curious if its something that will be addressed in a future version or its limited by hardware resources. 2. SSH to iomega (on Linux open terminal and type ssh -l root -p port-number your-iomega-ip). Warning! Your password is not the same as the one you defined through the web-page! Add 'soho' before your-password. If you had qwerty then use sohoqwerty to login. Thanks! I'll give it a shot and let you know -- everything seems to be working and I'm not receiving any errors, but a simply symlink won't hurt. No, the symblink does not work as the resource is already located in the /lib/ directory. Tried running btsync as root -- same issues. Any transfer that takes longer than 10-12 seconds drops down to near completely stopped, or completely stopped. Part of this issue was caused by the default Raspberry Pi settings. By default the partition size of the disk is only 1.8GB to which I filled up VERY quickly. After attempting to transfer a larger (700MB) file, the transfer peaks at 2.8 Mbps (pretty much my saturation cap) then drops all the way down to 20 Kbps, then down to 12 Kbps, then finally down to 0 Kbps. All in all, the transfer speeds for smaller files are fine now, but again, anything that takes more than 10-15 seconds to transfer basically drops to a speed where it almost stops. Finding a solution would thus add two NAS devices to the supported list. Have questions about the configuration file. Works on Netgear ReadyNAS Ultra 4 plus. As NAS4Free is BSD based, does that mean sync will work on FREENAS aswell? Very likely the program will work. Has anybody tried this on a Seagate GoFlex Home NAS? Does anyone know if it is working/How do I share/create a BT Sync folder--add a Secret? 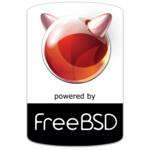 I've completed a couple days of successful testing with native x64 builds 128 and 130 on FreeNAS 8.3.1-p2 (FreeBSD 8.3-p7). Now I need to figure out which directory to install to and how to get it to load after a reboot. There is no "install" in UNIX. Just place the btsync binary where you like, along with its config file and all of the meta cache it has already created since you've run it in tmp already. Then add a startup line to /etc/rc.conf.local (FreeBSD) or /etc/rc.local (Linux).